If you are looking to go trekking in Peru or if you want to tackle the Inca Trail to Machu Picchu you are bound to end up in Cusco, the Peruvian center of trekking. 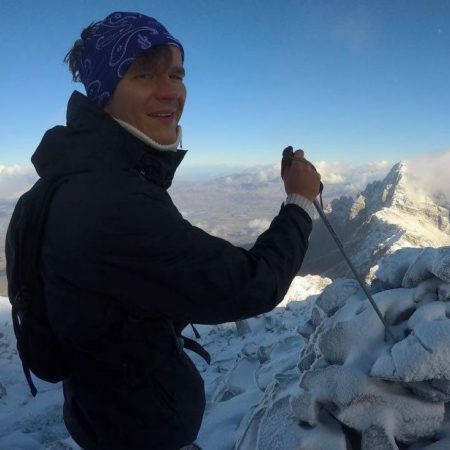 From Cusco, you don’t only have access to doing the Classic Inca Trail, the Short Inca Trail, but also classics like the greater Salkantay Trek, the Lares Trek, and even Rainbow Mountain is around the corner. Cool, so Cusco is the trekking Mecca of Peru, but how do you get there? We get this question a lot and we want to help you on your way to find your next bucket list experience in Peru. ¡Vamos! On the Plaza de Armas in Cusco, you can see a big rainbow flag welcoming visitors. No, this flag is not there to make a stand for LGBTQ rights. It is, in fact, that flag of the city of Cusco. The flag has been in use since the late 70s and Cusqueños, the inhabitants of Cusco, are very proud of it. 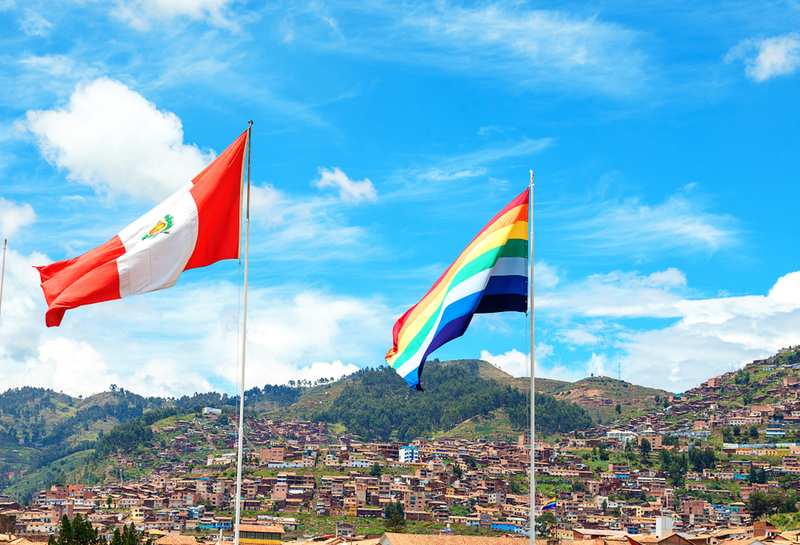 Indigenous populations make up about 40% of the Peruvian population and although they have had and are having a hard time in Peru, this flag constantly reminds the city and its inhabitants that solidarity and identity will prevail. There is, however, more to it. It is said that the same or a similar flag has been used by the Inca empire and although this has been disputed by historians, it a widely respected symbol of Cusco and the Andean Region. The legacy of the Incan Empire can be felt in Cusco, which is nicknamed the Imperial City. In Quechua, the city is called Qusqu or Qosqo. From the 13th to the 16th century, the site was the capital of that same empire. The constitution of Peru designates Cusco as the historical capital of Peru and it is no wonder that UNESCO has labeled the area as World Heritage Site in 1983. For trekking enthusiasts, Cusco is the gateway to that other World Heritage Site: Machu Picchu. People who want to experience the Inca Trail and see Machu Picchu have to come through Cusco. If you come from far, you probably first need to know how to get to Peru. If you are getting to Peru from overseas, you are likely to land in Lima, the capital of Peru, first. 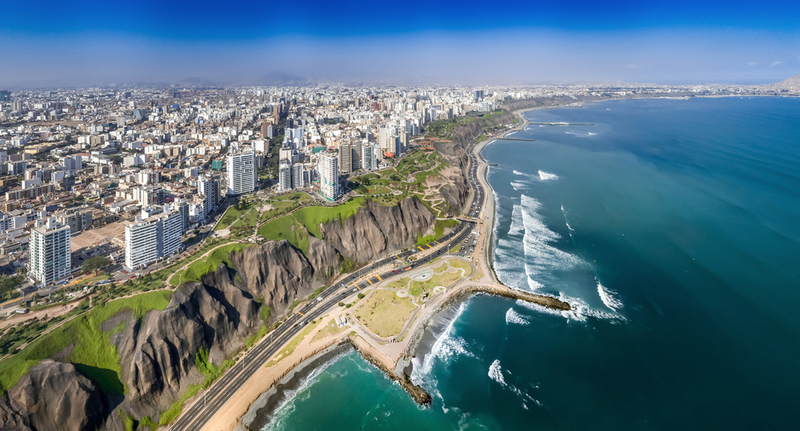 Lima is with 10 million inhabitants the capital of Peru and is home to an International Airport that is served from every corner of the world. Unless you are arriving via land, you can fly to Jorge Chavez International Airport (LIM). 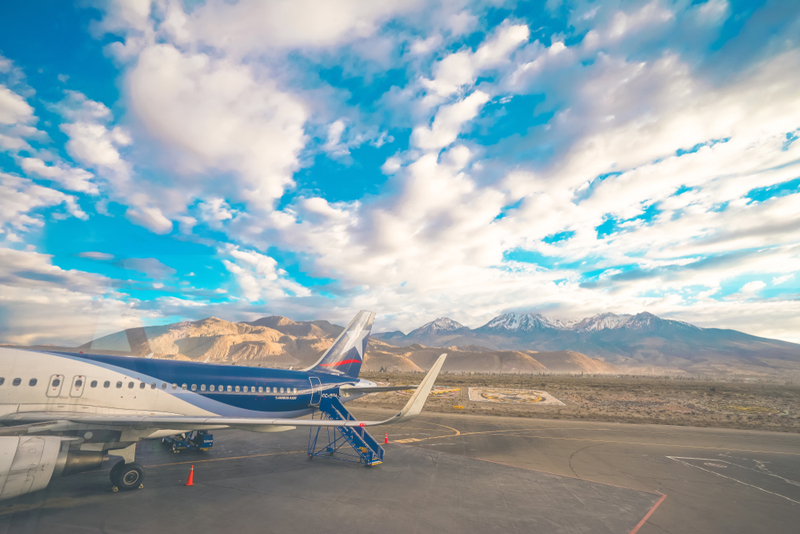 From most cities in Europe, North America, South America, Asia, and Oceania you can catch daily non-stop flights to Lima. Peru is a large country. By car, it can take two days to cover the distance of about 1100 kilometers (685 miles) between Lima and Cusco. Tourists who are on a tight schedule usually save themselves the stress from traveling to Cusco via land. Alejandro Velasco Astete International Airport is quite a mouthful and most people prefer to call it simply Cusco Airport. The airport goes with the code name CUZ and has daily flights to most big cities in Peru. From Lima, it takes about an hour to fly to Cusco. There are different airlines who are competing for passengers. You can choose to fly with Avianca, Viva Air, Sky Airline, LATAM, Peruvian or Star Peru. Flight fares range from 50 to 200 EUR one way. The airport s not as international as it may seem as the only international flights come in from Bolivia. If you are a railway enthusiast, then you probably already know about the railway line between Puno and Cusco. 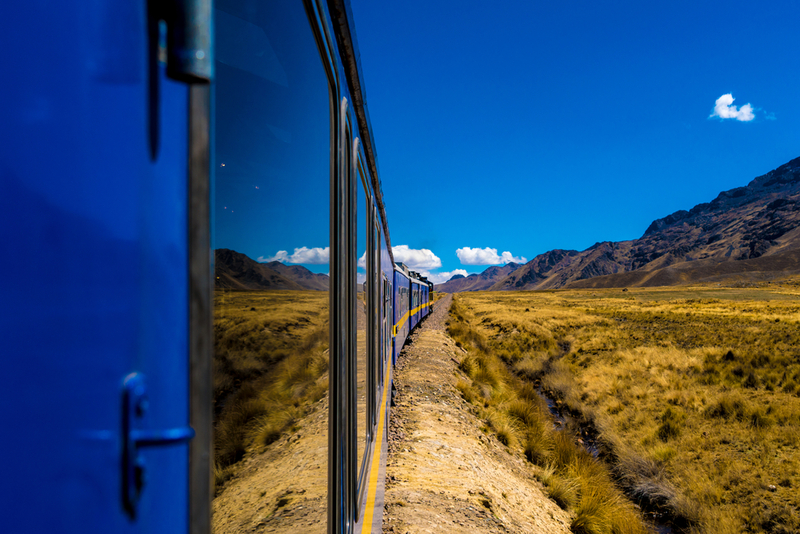 This journey on the Andean Explorer is experienced as one of the most beautiful train rides in the world. Note that this is Puno and not Lima. This would only be a possibility if you want to combine Cusco, the Inca Trail and Machu Picchu with Lake Titicaca. You could combine with a journey to or from La Paz, Bolivia. The journey from Puno to Cusco or vice-versa takes 10 hours. The easiest way of getting around in Peru is by bus. Although time-consuming, it is a great way to see more of the country. There are good bus services from Lima, Arequipa, and Puno. Cruz del Sur, Civa and Ormeño are just a few of the companies who operate daily buses between the major hubs in Peru. Buses from Lima to Cusco are finding their way via the South Pan-American Highway. Tickets from Lima to Cusco are about 20 EUR and can easily be booked via Busbud. If you have any questions about trekking in Peru or transport arrangements to Cusco, you can get in touch with our trekking experts.